If you are looking for a great place to spend an afternoon or evening at Disney without spending money on a park ticket or fighting the crowds at Disney Springs, you’ll want to check out Disney’s BoardWalk. Here are 6 reasons why we absolutely love strolling the BoardWalk! Disney’s BoardWalk is a quarter-mile stretch of shops, restaurants, and entertainment. But amidst the merchandise and delicious food is the obvious charm that is poured into every piece of the BoardWalk. Designed with Coney Island and Atlantic City boardwalks in mind, Disney’s BoardWalk exudes timeless details in the architecture and gorgeous water views. We especially love the BoardWalk in the evening, as the streamed lights emit a glow off the water. The BoardWalk is the perfect place for a romantic walk or for a family to enjoy some great moments. 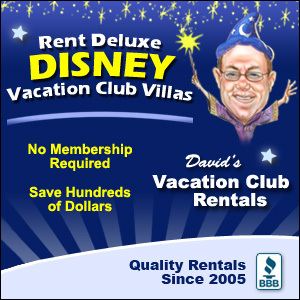 BoardWalk has excellent proximity to several resorts as well as two theme parks! The BoardWalk neighbors the BoardWalk Inn Resort, and is also in walking distance to the Swan and Dolphin Resort, the Yacht Club Resort, and the Beach Club Resort. Not to mention, or of the four theme parks at Disney World, BoardWalk is a simple walk or boat ride away from Epcot and Hollywood Studios. Plus, did you know – you are close enough to both parks to catch glimpses of Epcot’s Illuminations and Hollywood Studio’s Symphony in the Stars! While you won’t be able to see all of the excitement, you’ll catch great flashes of the top of the fireworks. This is a great time to find a bench on the BoardWalk and dive into that funnel cake or sip on a margarita! BoardWalk shops offer some excellent and unique merchandise. Disney’s Character Carnival is a great place to find all of your Disney’s character favorites and kid’s apparel. The Screen Door General Store offers everything from small Disney souvenirs to milk! This is especially a great shop for those staying at one of the neighboring resorts. Thimbles and Threads is another shop with some sundry items, but it also has apparel and Disney souvenirs for everyone in the family. Our favorite, and the most unique shop would have to be Wyland Galleries. This fine art gallery will have you oohing and awing over the amazing pictures and sculptures. Don’t just shop and eat at the BoardWalk, but check out some of the entertainment offered. Be on the lookout for street performers such as jugglers and magicians! Take it from us, these aren’t just random street performers but are obviously well trained at drawing in a crowd and wowing everyone. You’ll also want to experience the Atlantic Dance Hall where you can dance the night away as long as you are over 21. Sports fan? Check out the ESPN Club Restaurant with the live radio sports shows. Last but not least, and our favorite, is Jellyrolls. This lounge features dueling pianos and great stage presence. The perfect way to spend the evening! As you stroll the BoardWalk, you’ll find several quick service locations – some in the form of carts and stands to match the BoardWalk theme! There is just about something for every craving you could have from sweets to salty to refreshing. A few quick service spots include the Pizza Window, Funnel Cake Cart, BoardWalk Baker, BoardWalk Joe’s Marvelous Margaritas, and The To-Go Cart. We especially recommend the Funnel Cake Cart! Or relax at a table service location such as Big River Grille and Brewing Works, ESPN Club, Flying Fish Café, or Trattoria al Forno. If you decide to dine at Big River Grille or a few of the other locations, ask to sit outside especially during nice weather! This just adds to the BoardWalk experience. Maybe you are seeking a more casual source of entertainment? The BoardWalk offers recreation that will bring the family together! Rent a surrey bike so you can explore the Boardwalk and local areas on wheels. Plus, what boardwalk would be complete without an arcade? Play a few classic arcade games as a fun way to top off your BoardWalk visit. What do you love the most about Disney’s BoardWalk? We’d love to hear from you!